Andrew Lloyd Webber has pledged £15,000 through his foundation to help young musicians from disadvantaged backgrounds in London. The money will support two years of music scholarships for eight primary school pupils in London, as part of the Mayor’s Music Fund scholarship scheme. An additional £500 will go towards ongoing funding for young musician Charlie Browne, who has previously taken part in the scholarship scheme. Foundation trustee Madeleine Lloyd Webber said the funding would offer its recipients “high-quality tuition and inspirational musical opportunities”. “This is the heart of our mission, and I a delighted to announce support for a further two years of scholarships under their banner,” she added. 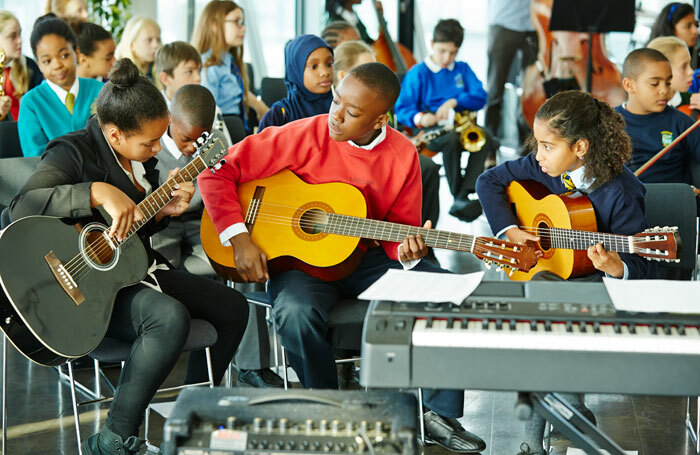 The Mayor’s Music Fund has been in existence since 2011, awarding more than 375 scholarships to primary school children from under-privileged backgrounds across London. The new grants follow the announcement of a £1.4 million boost  to a scheme to give free music lessons to school children. The foundation’s grant, announced earlier this month, secures the future of the Music in Secondary Schools Trust Andrew Lloyd Webber Programme for a further four years.